Very Good. A whimsical-yet factual-series of questions and answers about the things we eat...and don't eat! 40 p. Intended for a juvenile audience. New. A whimsical-yet factual-series of questions and answers about the things we eat. and don't eat! Num Pages: 40 pages. BIC Classification: YBC. Category: (G) General (US: Trade). Dimension: 304 x 225 x 14. Weight in Grams: 436. 2016. UK ed. Hardcover.....We ship daily from our Bookshop. New. 40 p. Intended for a juvenile audience. 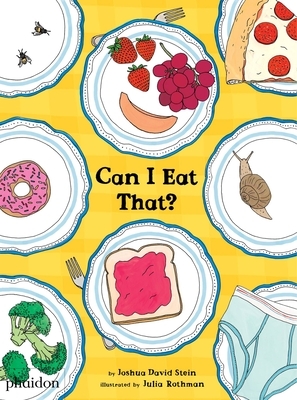 All Editions of Can I Eat That?